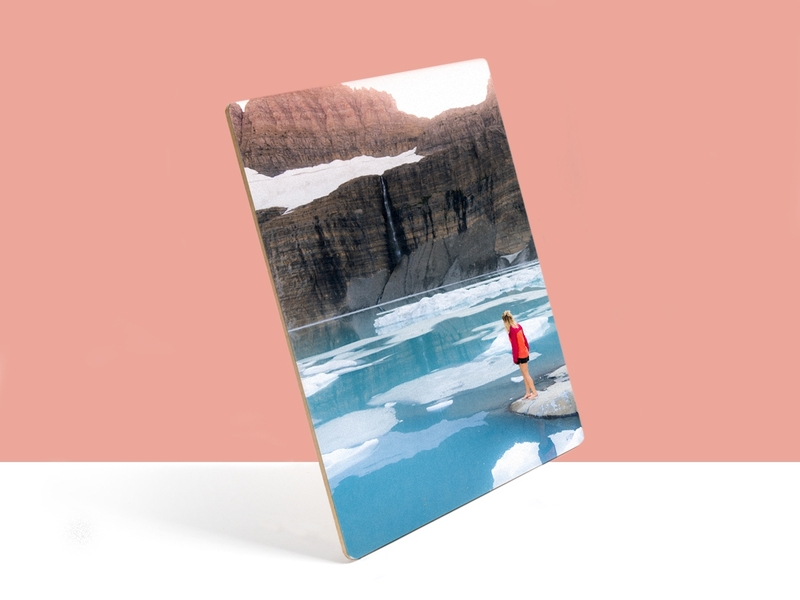 You probably know that at Plywerk we specialize in photo mounting, but did you know that you also buy our eco-friendly wood panels as a totally blank canvass? When you buy a blank panel from Plywerk, it’s your chance to get creative. 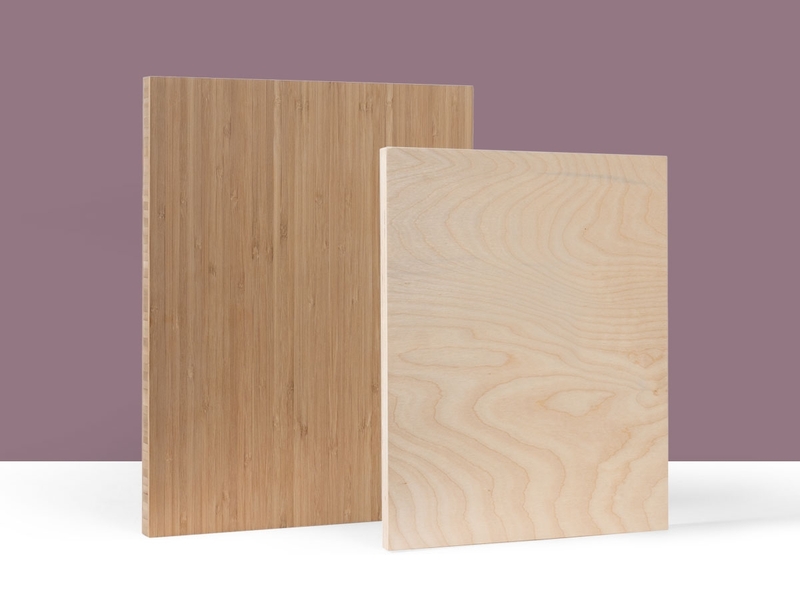 Of course you can use them for art or photo mounting (as we do) but we’ve also got a few unexpected ways for you to use Plywerk blank panels in your home. Our beautiful wood panels are the perfect way to incorporate more natural materials into your decor. Trivets don’t have to look like something you rescued from your Grandmother’s garage sale. Skip the wooden beads and crochet craft projects. Save your table and use a Plywerk panel as a trivet. You can use a pair of them for a large casserole dish. A casserole has literally never been so stylish as when it’s resting on a beautiful bamboo panel. On a similar note, you can also repurpose our panels as coasters. Keep them on the coffee table. Even if you’re not drinking, they’re going look good on your table. But you should always be prepared for a cool drink. Or a hot drink. And it’s a nice upgrade from the things you bought at IKEA eight years ago. Use a Plywerk panel as a plant stand. The natural wood will feel at home in your indoor jungle. A plant’s got to stand somewhere. Give it a little boost with Plywerk. Do you like cheese? Of course you do. Cheese is the best. Use a blank panel as a cheese board. Next time you have friends over for drinks, throw some gouda on a Plywerk panel and you’ve got yourself a classy cocktail hour. Does it seem like friends never stop over for drinks? Maybe you should lure them in with cheese. And let us know if you’ve got any other great ideas for our blank panels! This entry was posted in Eco-Conscious, Uncategorized and tagged blank wood panels, eco-friendly wood panels, wood trivets, wooden cheese board, wooden coasters on January 31, 2014 by admin. Who says that a picture frame has to frame a picture? Society? Well, just between us, society’s got it all wrong. Society is the same thing that makes us use two different forks at dinner. So you can’t always go by what society does. And if you’ve got a great picture frame, you can use it to display just about anything. It so happens that we do have a great picture frame, and we’ve also got some ideas for how you might use it. If you own a restaurant, or even just work for one, you’ve probably thought about what your restaurant can do to stand out. Start with the menu. You don’t have to do anything crazy with the food on the menu. Like adding fried mozzarella sticks to every sandwich. (Although that is a pretty good idea.) But how are you currently displaying your menu? Our magnetic Maggie frame is the perfect way to greet customers as they enter your restaurant. Maggie frames are great for rotating menus or "wait to be seated" signs! You can keep a copy of your menu on a Maggie and place it prominently in the entryway. This high-quality eco-conscious bamboo photo frame uses super strong magnets and ball-bearings to hold a photo (or a menu) in place. Maggie comes in a variety of sizes, up to 10x12. If you want to use it for daily specials, even better. The magnets make changing it out simple. Hang it on the wall in your waiting area. Or stand it up on a table or hostess stand. Use Maggie for your dessert menu. Or for your happy hour deals. The possibilities are endless! Oh, and of course, you can also use it for pictures. It is also a picture frame. We like thinking outside the box, but a picture frame does still make a good picture frame. This entry was posted in Eco-Conscious and tagged bamboo picture frame, eco photo frame, magnetic picture frame, menu display ideas on January 29, 2014 by admin. There are a lot things we need here at Plywerk to make our business run smoothly. We need high-quality materials. We need talented and dedicated employees. We need heart and we need soul. But all of these things would be nearly useless if we did not have coffee. For us, life without coffee is not real living. Fortunately for us, our office is located in Portland, Oregon. Portland is a city that values their java. There's no shortage of coffee shops, but we happen to favor Water Avenue Coffee Company. It all started in 2009 with three men and a beautiful vintage roaster. Bruce Milletto, Matt Milletto and Brandon Smyth ordered a roaster online and the coffee company was born. This trio was not new to the coffee game, though. Bruce is a true veteran of the specialty coffee industry. In 1991 he founded Bellissimo Coffee Advisors and in 2003 he and his son Matt opened the American Barista and Coffee School. Matt Milletto was raised on coffee. In addition to the work he does with his father at ABCS, where he serves as Vice President, he also founded Barista Exchange, a networking site for the coffee industry. Brandon Smyth knows his way around the beans as well. He’s done just about anything a person can do with coffee. He’s been everything from barista to roaster, with lots in between. A former roaster for Stumptown, Brandon is the coffee buyer and the head roaster for Water Avenue. There’s a lot of great coffee in Portland, but Water Avenue Coffee also has great people. We can say this with great confidence because we spend a lot of time there. Not only do we buy and brew their beans, but we also conduct a lot of meetings in their shop. It’s our neighborhood cafe. It’s nice to have such fine neighbors. This entry was posted in Beyond Plywerk and tagged coffee roasters, friends of Plywerk, Portland coffee, Portland Local Businesses, Water Ave Coffee on January 24, 2014 by admin. Did you make a New Year’s Resolution to try new things? Are you feeling good and self-sufficient? Maybe it’s time to try your hand at another DIY project. Don’t be afraid. We’ll walk you through this DIY photo mounting. You still have to do it yourself, but we’ll be here for moral support. We sell blank panels with or without adhesive. If you’d like to try mounting your own photo or print, you’ll want to order the adhesive. So let’s get started. You’ve got your panel. You’ve got your adhesive. Now what? Things You’ll Need: In addition to a panel, make sure you have a straight edge (like a book or a piece of wood), a utility knife, a lint-free cloth, and a steady hand. Before you get to mounting you’ll want to place your print on top of the panel to ensure that you have a small amount of your photo hanging over each side of the panel. And, it’s also worth mentioning that you want to be conscious of where the keyhole hanging slot is located on the back. It should be the ‘top,’ assuming you like to hang your art right side up. 1. Pull back approximately 1” of the adhesive liner on the leading edge of your Plywerk panel and 2. fold the liner to create a tab. 3. Make sure your print and exposed portion of the adhesive are clear of any debris. 4. Slide your panel up against your straight-edge. 5. Place the print into the corner where the straight-edge and blank Plywerk panel meet. 6. Place your index finger in the center and gently rub up and down that edge thereby adhering and securing the edge of the print. 7. Slightly lift up the unsecured portion of the print so you can grab the liner tab you created in step 8. Slowly pull the tab back while letting your print down on the newly exposed adhesive. 9. Using your non-abrasive cloth and starting in the middle of the secured edge rub firmly up and down along that edge and move along a 1/2" or so with each up and down pass. 10. Once you've gone over the entire panel, pull it away from your straight-edge and firmly rub the print in a sunburst pattern (from the middle towards the edge) of strokes to secure it. 11. You may define the edges by gently creasing them across the panel edges. But watch the corners to make sure you don't pierce the print. 1. Lay your newly mounted Plywerk panel face down on a clean hard surface that you don't mind cutting into. 2. Use a fresh knife blade for each image you trim and be sure you have enough of the blade showing to clear the top of the panel (i.e. when you cut, the plastic blade housing should not touch the panel). 3. Angle the blade ever so slightly out from the panel, so that the beveled part of the blade-tip (look closely at the blade) rests against the side of the Plywerk. This way the final trim is totally flush with the edge. 4. Press down on the panel forcefully with one hand and trim with the other. With the trimming hand do not apply too much pressure, but apply just enough so you won't have to re-cut. 5. Make one continuous cut for each side. Trimming little areas off is troublesome and should be avoided. This entry was posted in DIY, Photo Panels and tagged blank wood panels, diy photo mounting, photo mounting on January 23, 2014 by admin. Many Americans enjoy the day they have off in honor of Dr. Martin Luther King, Jr. At Plywerk, we enjoyed our day on. On January 20th, Plywerk employees had the option to take a day off or to participate in a company paid day of service. Of course, we weren't the only ones doing a little work that day. In 1983, legislation was passed to create a federal holiday for Dr. Martin Luther King, Jr. In 1994, Congress designated it a national day of service. At this time, it is the only federal holiday devoted to volunteerism. By participating in the MLK Day of Service we’re taking Dr. King’s life and teachings and putting them into action. By taking part in a service project, we’re fulfilling real needs in our community. This year we took our manpower to the Johnson Creek Watershed Council’s Restoration Event. The JCWC strives to promote restoration and stewardship of a healthy Johnson Creek Watershed through sound science and community engagement. Plywerkers pulled on their boots and got planting at this special streamside planting event to help salmon habitat. And, of course, a Plywerker’s gotta eat, so we were rewarded with lunch afterward at Jade Teahouse. If you haven't checked out Jade Teahouse, you definitely should. Delicious! It’s nice to be lazy on a day off work. But we’re saving that for Presidents’ Day. This entry was posted in Behind the Scenes, More Than Just Green and tagged eco-conscious, portland, Portland Local Businesses, volunteering on January 22, 2014 by admin. At Plywerk, we like to stick with our own kind. As a Portland local business, we like to support other Portland local businesses. And not just the ones that give us pie. (Some of them do give us pie.) But really. We’re not just a bunch of pie-hungry maniacs! We also have a bit of a soft spot for photographers. Plywerk has roots in photography. Some of us are photographers. And we like to stay true to our roots. So we can’t help but love Portland’s very own Newspace Center for Photography. If you have a new year’s resolution that involves picking up a camera, listen up, because it’s THE place to go for Portland photography classes. Newspace Center for Photography is a photography resource center for students, artists, professional photographers, and educators. It’s really a place for photo-enthusiasts from every walk of life to gather. Newspace does it all. They offer photography classes and they host gallery exhibits. They have great facilities that include a darkroom, a digital lab, and lighting studio access. Newspace also provides information and assistance through artists’ lectures and portfolio reviews. It’s a community hub where beginners can start to learn and experts can continue to learn. And as if we needed any more reasons to love them, we also really dig that Newspace is a place that works for our community. In the past, they’ve partnered with the Washington School for the Deaf, Saturday Academy, and Portland Community College. They’ve also done great work with My Story, a photography program for at-risk youth. As you can see, they’re not just about looking good. They’re also about doing good. So if you’re in Portland, check them out. Register for a course or attend an upcoming gallery show. And if you're lucky, you might even see some photos mounted on Plywerk while you're there. This entry was posted in Art Shows, Photography and tagged photo mounting, photography, Portland Local Businesses on January 21, 2014 by admin. As we ease into the new year, we thought it might be fun to take a look at the old year. We saw a lot of wonderful photos on Plywerk last year, so let's take a little trip down memory lane and see all those moments that didn't escape. We picked some of our favorites from the Plywerk Flickr page. So let's take a look at 2013 in photos. The winter of 2013 is a distant memory by now, but we can assure you - it was just one year ago. We have the photos to prove it. And when you brave the cold, you can get some really excellent nature shots. Who doesn't love Spring? It's the time of year when we finally get to shed that winter coat and enjoy a breath of fresh air. Spring is a time for awakening, new life, and dressing your child up as a chicken. Even if you're not an avid photographer, you probably dusted off your camera last summer. We all want to preserve those moments in the sun. Summer vacations and outdoor adventures are things we all want to remember. Especially by the time winter rolls around. Fall can be bittersweet. It's a beautiful season of change and colors. Then again, if you're a kid, it means going back to school. As an adult, however, you have seasonal pies to look forward to. And in the blink of an eye, another year had passed. Winter returned and we resorted to putting bows on our cats to pass the hours. Here's to 2013! We hope it was a beautiful year that you never forget! This entry was posted in Photography and tagged holidays, kittens, Outdoor Photography, Summer, travel photography on January 17, 2014 by admin. Whether you like it or not, February 14th is right around the corner. You can’t run. You can’t hide. But you can do something new this Valentine’s Day. Steer clear of the boring old candy and flowers route. If for no other reason, the new year is still pretty new and we’re all trying to avoid those high fat high sugar temptations. (At least until Easter.) And sure, flowers are nice, but they’re so short-lived. A Print on Plywerk is a unique Valentine’s gift. Plus, it never dies and it’s very diet friendly. When you give the gift of Plywerk, you’re able to preserve a beautiful moment in time and hang it on a wall. It’s a tangible reminder of that intangible feeling. It says more than a truckload of chalky conversation hearts. Maybe you took a romantic getaway last year. Turn one of those fond memories that’s stored on your iPhone into a solid reminder of a fun time. Use one of those lovey-dovey kissy-face photos that make all your friends sick. Whether your romance is new or old, a gift from Plywerk sends the right message. The message is: that is one attractive couple. Celebrate the good times and the good looks. And plan for the better times that are still ahead. Use the discount code LOVE15 to get the discount! And remember. If you don’t plan ahead, you’re going to end up buying overpriced roses or a Groupon for boudoir photography. And nobody wants that. This entry was posted in Holiday Gifts and tagged Bamboo photo mounts, custom photo gifts, holidays, Valentine's Day on January 16, 2014 by admin. Simple is good. The simple life. Simple pleasures. But sometimes it’s nice to take something simple and dress it up, just a bit. Like putting a little dijon mustard on a grilled cheese sandwich. Or adding a slice of avocado to a BLT. Or maybe even slipping some potato chips on to your turkey sandwich. It’s still the same classic sandwich, just slightly enhanced. But if you’d stop going on and on about sandwiches, we could talk about how this all relates to Plywerk and eco-friendly photo mounting options. Our beveled panels are great for that little extra something. Our customers love the simple design of Plywerk products. 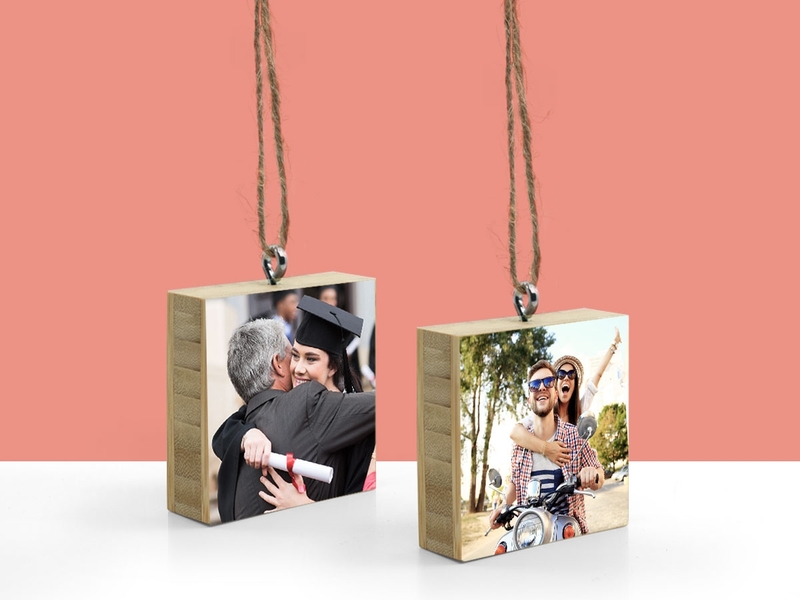 Our bamboo and maple panels are the perfect way to showcase a beautiful photograph, sans frame. They’re clean and modern. But if you’re looking for something that’s just a step above minimalist, our Boo Bevel beveled edge option is ideal for you. It’s all the things you love about our other panels. It’s stylish, it’s functional, and it’s eco-friendly. But it’s a little bit more. The Boo Bevel offers a similar clean finish to your prints, but with a little extra aesthetic appeal. It’s kind of like a frame for people who don’t really want a frame, but sort of do. (You know who you are.) The beveled edge creates a beautiful, natural built-in border. If your wall is missing something, it’s almost certainly one of these bamboo bad boys. We offer the bevel edge on 3/4" bamboo. 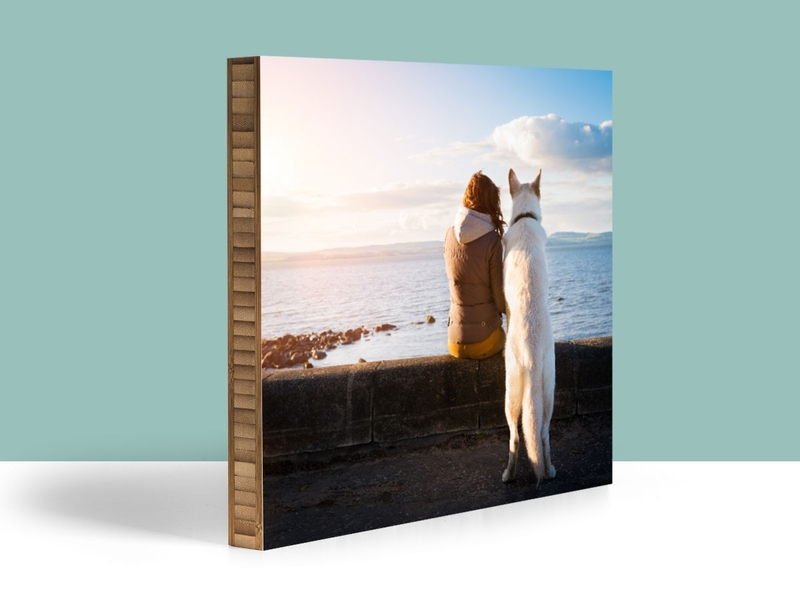 You can select it as an option for all Prints on Plywerk and blank wood panels up to the 12x18 size. So go for the bevel, if you dare. And enjoy that little something extra. Think of it as the slice of avocado that takes something good and makes it great. This entry was posted in Handmade in Portland, Photo Mounting, Photo Panels and tagged Bamboo art panels, bamboo photo mounting, eco-friendly picture frame on January 15, 2014 by admin. We’re not going to deny it. We talk a lot of talk about our bamboo at Plywerk. But for good reason. It’s a truly impressive source of material. It’s one of the fastest-growing plants in the world. It’s stronger than steel. It’s faster than a speeding bullet. You get the idea. Bamboo is just super. But we don’t deal exclusively in bamboo products. The bamboo might get a lot of attention, but that doesn’t mean it’s our favorite. We love all of our wood equally. And there’s a lot to be said for our sustainable maple products. 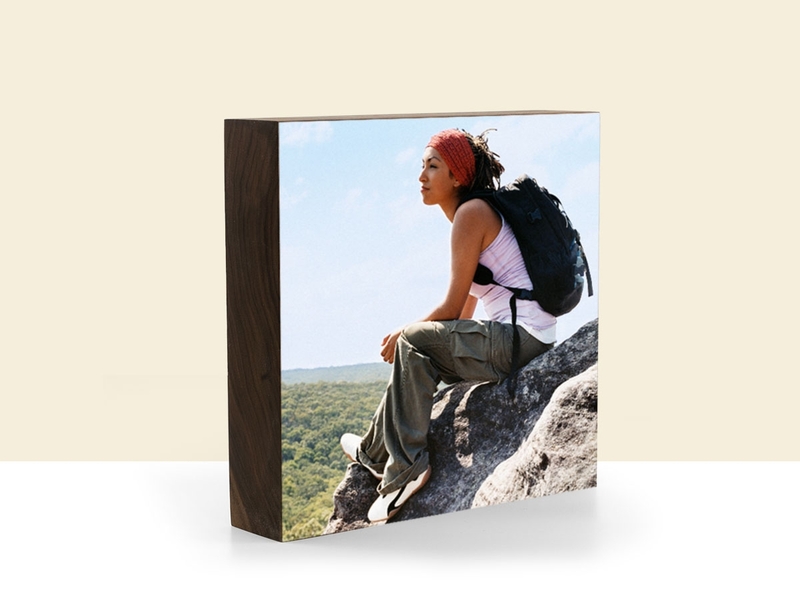 We offer our Prints on Plywerk as well as our blank panels in both bamboo and maple. We just want you to know that you have options. Unfortunately, it’s not an easy choice because they’re both great. The thing is, you really can’t go wrong when you’re shopping around at Plywerk. But it’s a choice you have to make for yourself. We can’t play favorites. It just wouldn’t be fair. We’ll give you the facts: Our trusty old maple plywood is a cabinet quality solid birch/alder core with maple face veneer. It’s also Forestry Stewardship Council (FSC) certified. That means that all parties involved (from growing and manufacturing to freight carrier and wholesaler) are audited by the FSC on a regular basis to ensure adherence to their international standards. In short, the wood is good. It’s still going to be a tough decision. Bamboo is hot right now. It’s hip. It’s cool. It’s everywhere you look. But maple is a real classic. Maple is tried and true. It’s kind of like the little black dress of wood. There’s a reason it’s beloved by woodworkers. It’s a beautiful, affordable, multi-functional wood. So let’s give credit where credit is due. Three cheers for maple! This entry was posted in Eco-Conscious, Photo Mounting and tagged eco-friendly picture frame, maple picture frames, sustainable maple products on January 11, 2014 by admin.